Fantasy sports betting is getting bigger and bigger every week, and just recently FanDuel, a type of sportsbook that allows its members to bet legally on sports by using fantasy leagues, games, and heads up matches. Just a week after FanDuel’s $275 million Series E venture round funding, they confirmed they had acquired KotiKan. KotiKan, a Scottish app development studio, is set to help FanDuel with their mobile development, as they already have an app, but are looking to expand that into different mobile markets, as they were the same company that helped them launch their first DFS app. KotiKan has grown to 56 employees and a turnover of £2.4 million. FanDuel CEO and Co-Founder, Nigel Eccles said “It was logical to bring the talented team in-house to further innovate and develop FanDuel’s mobile products.” Both companies being in Scotland certainly helps, as these two giants will certainly have a mutually beneficial relationship, and a lot of fans will certainly be happy with their progress. They are not your traditional sportsbook, as they only deal with the fantasy aspect of each sport, which include the big three: Basketball, Football, and Baseball. 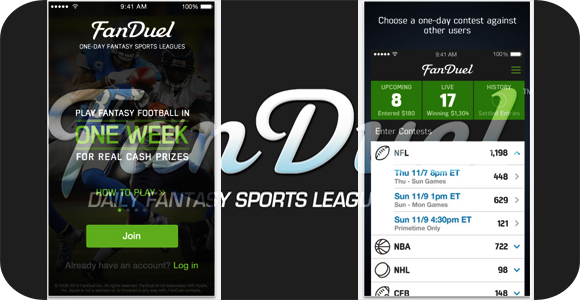 You are able to access your account online using your PC or Mac, as well as using the FanDuel app on your mobile device. You can look forward to many improvements to the FanDuel experience.